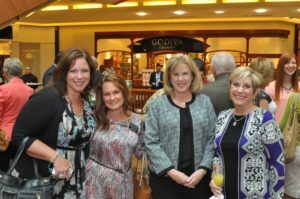 The Junior League of Collin County has a rich history and commitment to improving lives in Collin County. This organization was founded in 1976 by thirteen visionary women who fully committed themselves to improving their evolving community at a time when Plano, Texas was becoming one of the fastest growing communities in the country. They formed the Plano Service League as they recognized there were needs in the community and they wanted to meet those needs. The Plano Service League became the Junior League of Plano and was admitted to the Association of Junior Leagues International in February of 1984, becoming the 255th League to join. In 2011, the Junior League of Plano adopted a new name, the Junior League of Collin County to more accurately reflect the growing countywide membership and expanding community impact. Our League has a deep history in the Collin County community, and through the decades, our members have remained committed to promoting volunteerism, developing the potential of women, and improving the community. Evidence of this impactful work can be seen all across our community, as our members have engaged in community building since the earliest days of the League, and Junior League of Collin County members engage and commit to making positive change and serving as leaders across the community. Today, membership includes nearly 1,000 women from cities in Collin County, including Plano, Allen, Frisco and McKinney who value Service, Respect, and Leadership.